Ramesses III in his harem.Medinet Habu Temple. 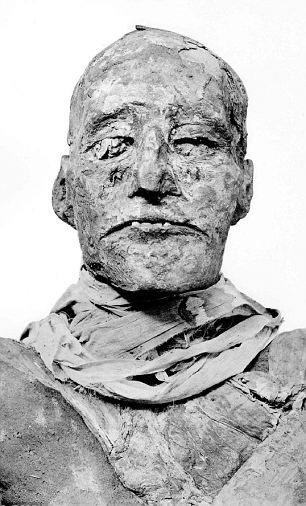 Modern day forensics 'prove' Ramesses III did have his throat slashed by 'lesser' wife who wanted her son on the throne. Researchers have used modern day forensic science techniques to solve the millenia-old mystery of how Egyptian king Ramesses III was assassinated. Scans of the Pharoah’s mummy have revealed a wide and deep wound in his neck which indicates that his throat was slashed with a sharp blade. 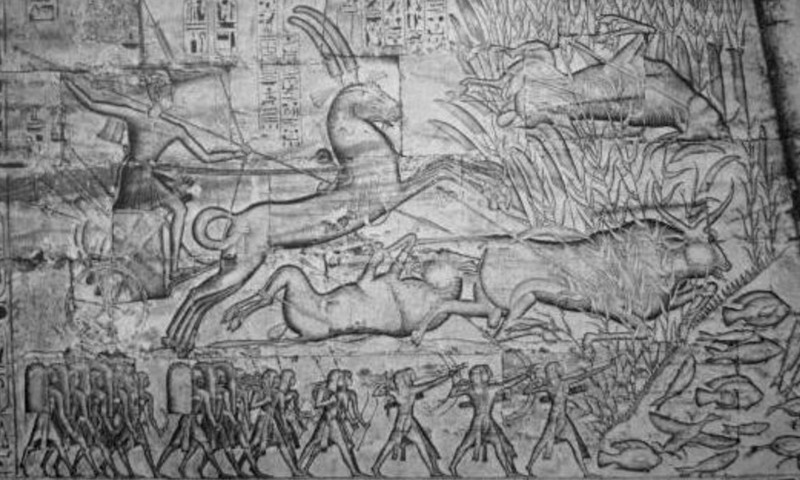 Until now, precisely how Ramesses III died has long been hotly debated by Egyptologists. The second Pharaoh of the 20th dynasty, he is believed to have ruled Egypt from 1186 to 1155 BC. Papyrus trial documents have shown that in 1155 BC members of Ramesses’ harem made an attempt on his life as part of a palace coup to change the line of succession. 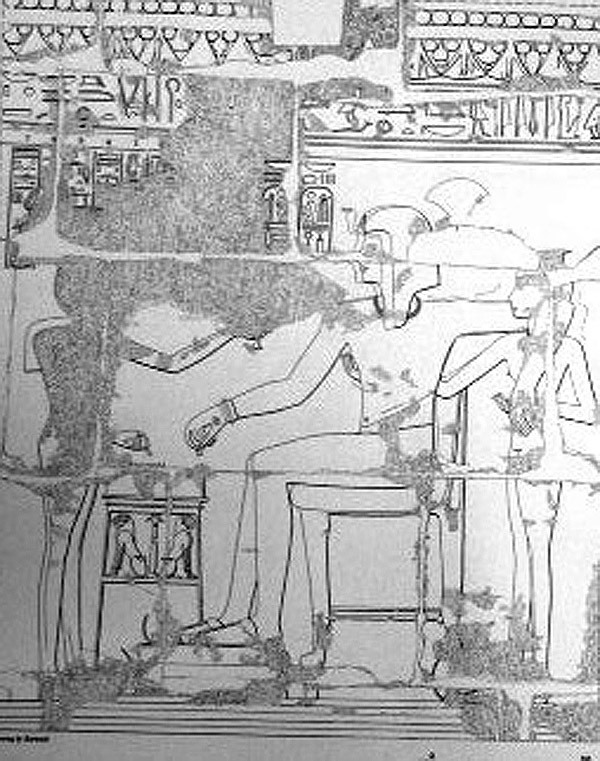 The conspiracy was led by Tiye, the lesser of his two known wives, and her son Prince Pentawere – but from the texts it was not clear whether the plot was successful. Based on the available documentary evidence, some researchers say it was, while others have claimed he was merely injured and later died from his wounds. 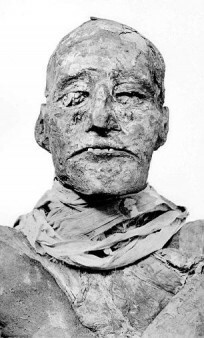 To resolve the dispute, a team of researchers conducted a forensic cold case review on the mummies of Ramesses III and the unidentified remains of a younger man buried nearby, believed to be Prince Pentawere. Led by Dr Albert Zink from the Institute for Mummies and the Iceman of the European Academy of Bolzano/Bozen in Italy, the team undertook anthropological and forensic analyses of both bodies. Working out of the Egyptian Museum in Cairo, where the mummies are now kept, the team ran CT scans and DNA tests on the mummies to determine the cause of death and whether they were in fact related. Previously it had been speculated that Ramesses was killed in a manner that left no mark on his body. Among the conspirators were practitioners of magic, who might well have used poison. 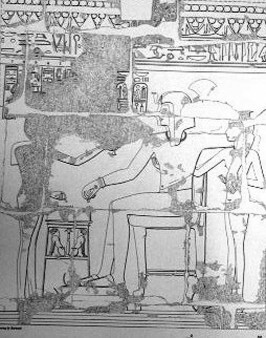 Others have suggested that a bite from a viper was the cause of the king’s death, since his mummy was found with an amulet to protect him from snakes in the afterlife. Scans of Ramesses III revealed a deep, 2.7in wound in his throat just beneath the larynx, probably caused by a sharp blade – and which could have caused immediate death, say the researchers. They write in the most recent issue of the British Medical Journal: ‘The trachea was clearly cut and its proximal and distal ends were retracted and separated by about 30 mm. The neck was covered by a collar of thick linen layers from the mummification process, which had prevented researchers from being able to examine this part before. 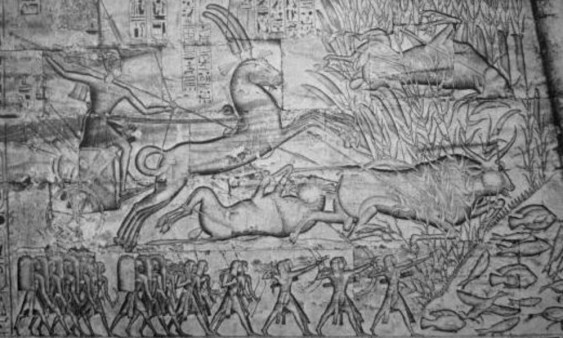 Dr Zink told the BBC: ‘Before now we knew more or less nothing about the destiny of Ramesses III. People had examined his body before and had done radiographs but they didn’t notice any trauma. They did not have access to the CT scans that we do. We were very surprised by what we found. We still cannot be sure that the cut killed him, but we think it did.’ A Horus eye amulet was also found inside the wound, which the researchers say was most probably inserted by the ancient Egyptian embalmers during the mummification process to promote healing in the afterlife. Analysis of the body of the younger man refered in bibliography as “unknown man E” revealed an age of between 18 and 20 years, while DNA similarities between the pair revealed that he was probably Ramesses son. Documents from the time indicated that Pentawere was involved in the harem conspiracy, was found guilty at trial, and then took his own life. However, the researchers’ analysis of the mummy found and inflated thorax and compressed skinfolds around the neck, suggesting that, if it is the corpse of Pentawere, he may have in fact been strangled. The body was not mummified in the usual way – and was covered with a ‘ritually impure’ goatskin – evidence for punishment in the form of a non-royal burial procedure. ‘He was badly treated for a mummy,’ said Dr Zink. In the end, the crown passed to the king’s designated successor: his eldest son, Ramesses IV.